20 best free responsive HTML5/Bootstrap wedding website templates and examples are rounded up for you to create a striking wedding website. Are you looking for an outstanding wedding website template to deal with your wedding items and services online? Are you searching for the most creative wedding website examples or themes to design a distinctive wedding website for your/others’ big day? As the designers of this website say: “it’s hard to put in words the awesomeness of this wedding website”. It chooses a distinctive font to display the names of the bride and bridegroom elegantly on its landing page, just like a beautiful drawing. The sweet parallax scrolling and illustrated website design help create a useful and personalized website. Overall, you need to experience all its awesomeness by yourself. 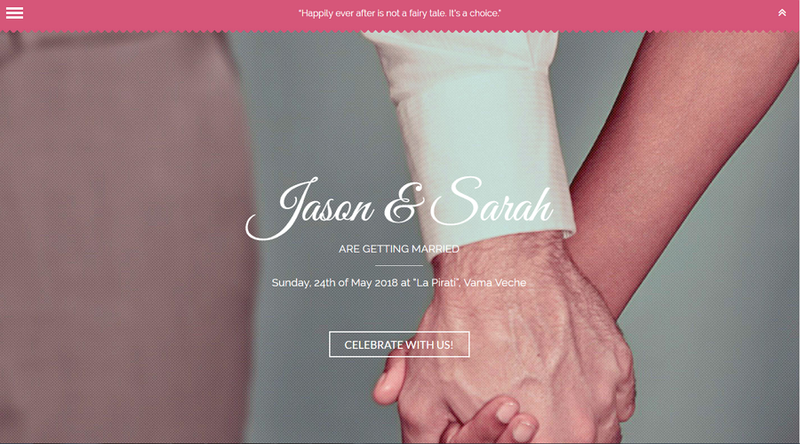 This free wedding website example features a creative simple-stroke design style and a fun horizontal scrolling design. Just scroll your mouse to know the story of the bride and bridegroom. The playful animations are interesting. 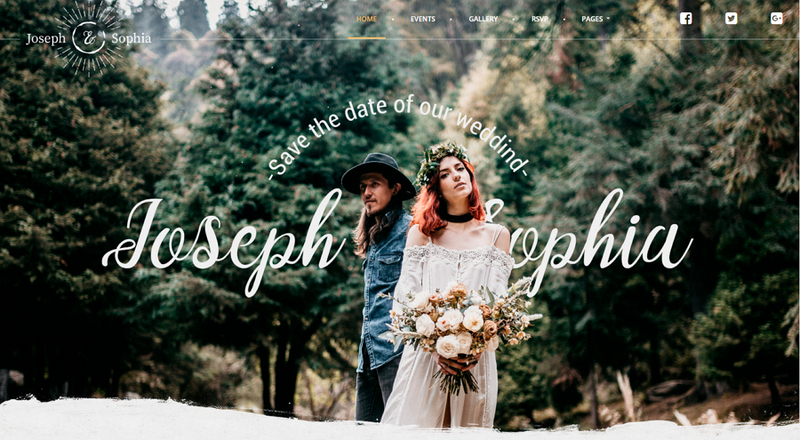 This is a good example for designers to build a cool-looking and modern wedding website. Open this website example. You can easily scroll your mouse and follow the romantic hot air balloon with the bride and bridegroom to know their love story as well as the wedding information. Those cute illustration designs and animations are also excellent. This website template is an ideal choice to create a lovely and romantic wedding website. A wedding is usually regarded as one of the most important events in a person's lifetime. It should be memorialized and cherished. And videos are perfect methods to do this. To make your wedding website irresistible, add eye-catching videos or nice audios to spice it up. 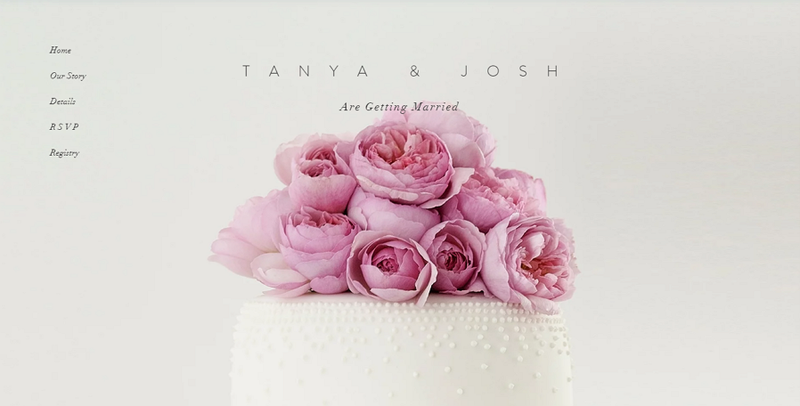 This clean and simple wedding website uses rich videos to attract users. It is a good website template for wedding videographers, wedding planning and event production companies. A wedding website does not have to be colorful. 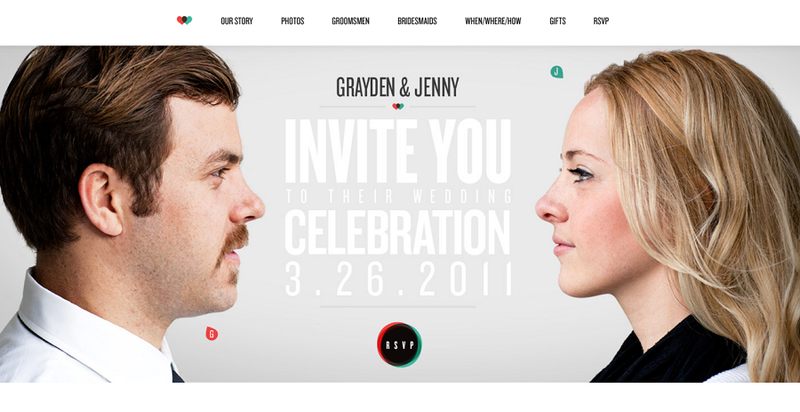 Even a wedding website that uses black and white can also prove to be a good design. This template uses a black and white color scheme to create a classic, retro and personalized wedding website. The one page design is easy for users to use. 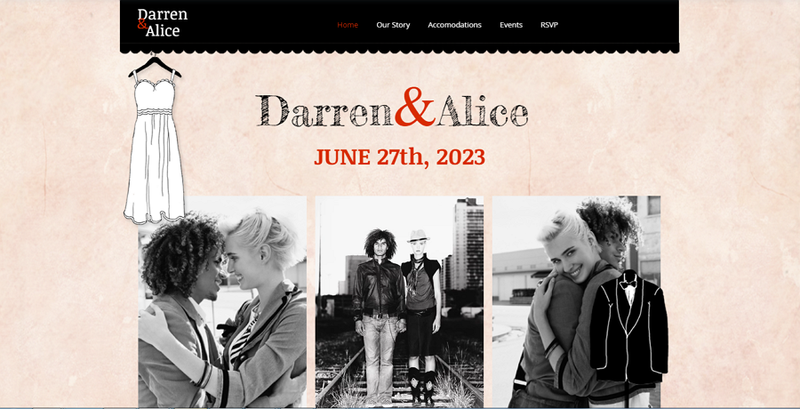 Download and use this template to create an unconventional wedding website. If you are looking for a comprehensive, classic and stylish wedding website template, this one is perfect. This website template is perhaps the simplest one. All you need to do is upload a couple of large and high quality photos, and customize the floating texts based on your own needs. This wedding invite template features a classic design style. The parallax scrolling design makes it user-friendly. The elegant fonts make it attractive. The animated image gallery helps create a happy air for this wedding website. It is a good website template for wedding planning, wedding invitations and wedding announcements. 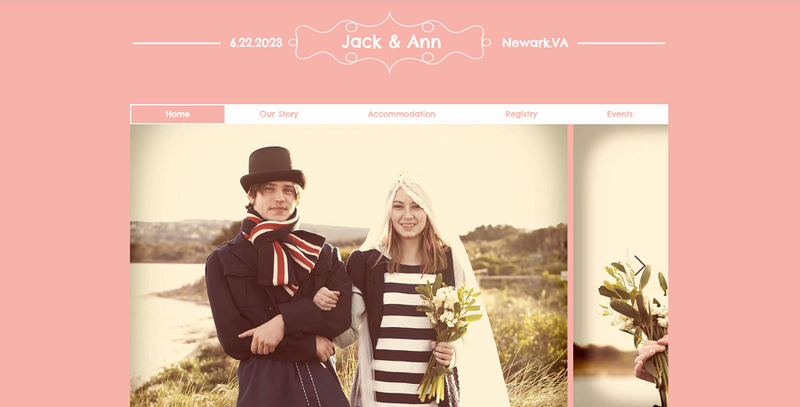 This sweet wedding website example generates interest thanks to its two-column layout. The red & white color scheme makes the two-column design more engaging, creating a very sweet and charming website. The most compelling part of this wedding invitation website is the floral Home page featuring a watercolor style. It successfully helps grab users’ attention and engages them within this wedding website. When you open this free wedding website, you will unconsciously be attracted by its bright colors scheme. The illustration design style gives it a unique touch. This chic wedding event website features a minimalistic design style. The pink and white color scheme is very cute. This responsive HTML5 wedding website template is very clean and features animated texts, large photos and elegant fonts. It is also filled with beautiful watercolor flower decorations. This responsive Bootstrap wedding website template places a smart photo carousel on its Home page to attract users. 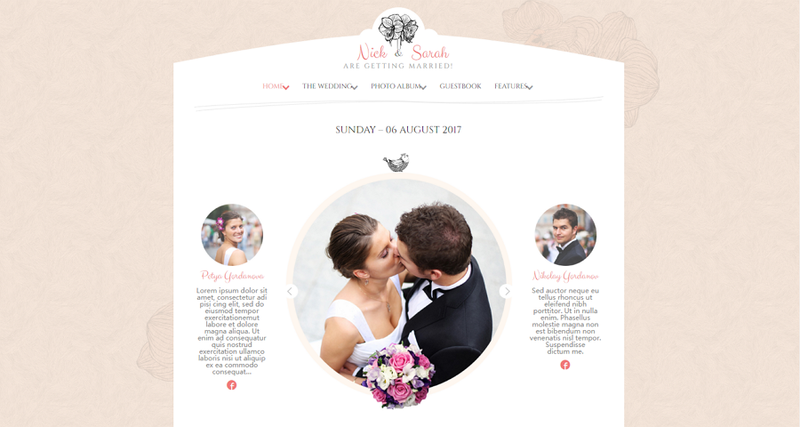 The clean and intuitive web layout, photo and text pairs, and unique title fonts make for a beautiful and easy-to-use wedding website design. This responsive wedding web template is ideal for wedding planning/photography companies to show their wedding items, services and projects. This bridal dress wedding-themed responsive website template features eye-catching hover effects and smooth scrolling navigation. It supports rich source file formats, including Bootstrap, HTML5, CSS3 and JQuery file formats. You can freely download and use it based on your needs. 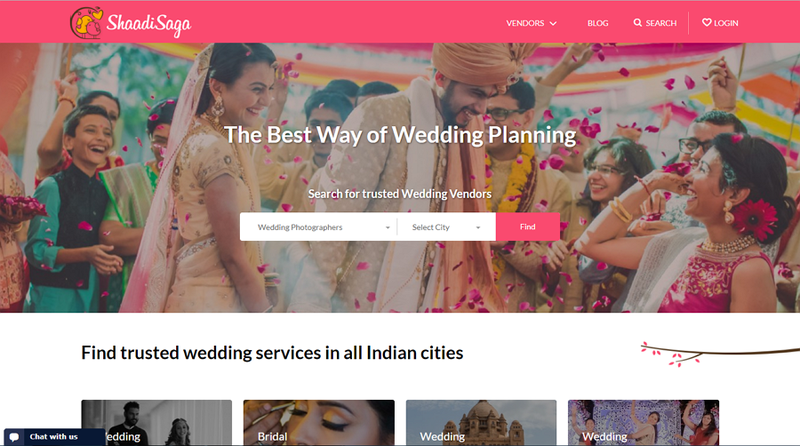 If you are designing an Indian wedding website, this website is a good example for you. 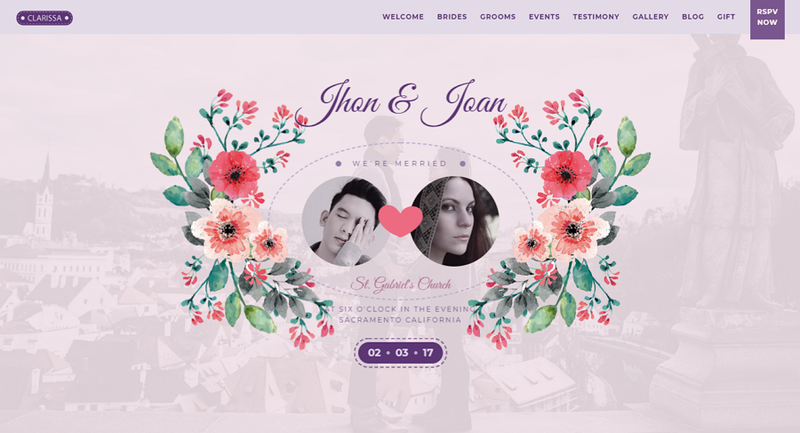 This charming floral HTML wedding website template offers users multiple Homepage designs. It is easy to use and suitable for users that do not necessarily know about HTML or CSS. This modern and lovely responsive wedding website uses a unique letter-like design to attract users. It is designed with an RSVP form, countdown section, guestbook and more. With this clean and beautiful responsive wedding website, you can easily create a website for your or others’ weddings in minutes. 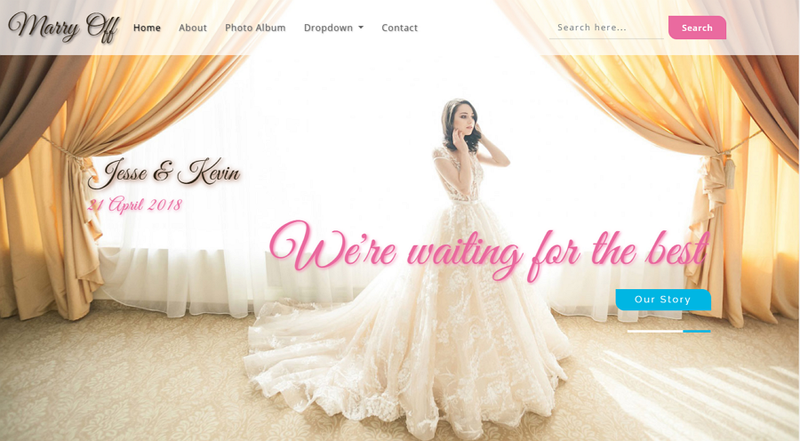 This template is an animated HTML wedding website template with one-page parallax. It works both on a mobile device and computer. It is customizable and all of the template colors can be edited based on your needs. Overall, we hope all of these creative HTML/Bootstrap wedding website templates and examples are useful and inspiring to you. As a professional place for designers to find and share the latest designs, Dribbble.com never let designers down. Merely enter the related key words to find your desired wedding website design. Please note: The searched designs in Dribbble.com are, sometimes, only concept designs and cannot be used directly. As a professional website template resource website, Wix.com offers tons of free and paid website templates, including some stunning and customizable ones of the wedding website template. Themeforest.net provides over 1000 different WordPress/HTML website templates and themes. You can search here for wedding websites as well. Colorlib.com is another good source for designers to search and download free HTML and website template. Some articles have rounded up the recent website templates by theme and can help find your perfect wedding website template. Mockplus.com/blog is a good website for designers to find and download different free website templates, such as Profile page design templates, Web form design templates, financial website templates, etc. Eye-catching videos and image gallery always help create an amazing wedding website. 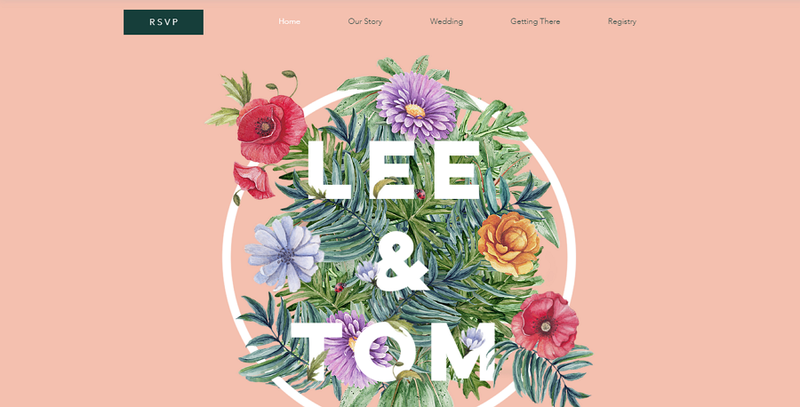 To create a personalized wedding website, it is best for you to combine different painting style designs in your websites, such as the popular illustration design style, simple-stroke design style, watercolor design style and the Chinese Ink design style. 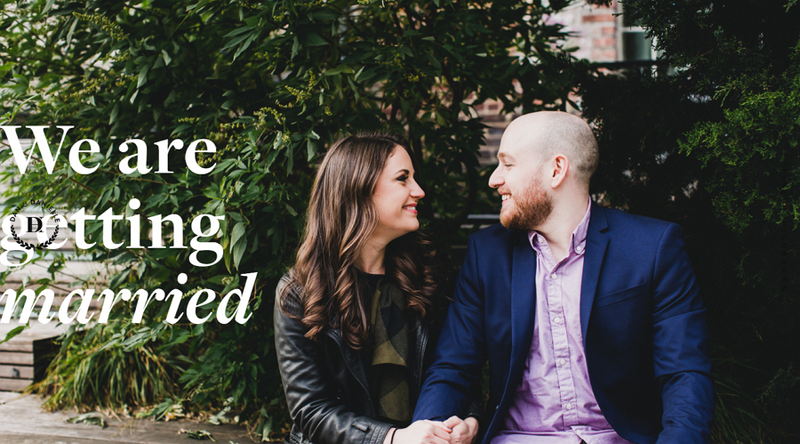 The love story is an essential part for a wedding website. 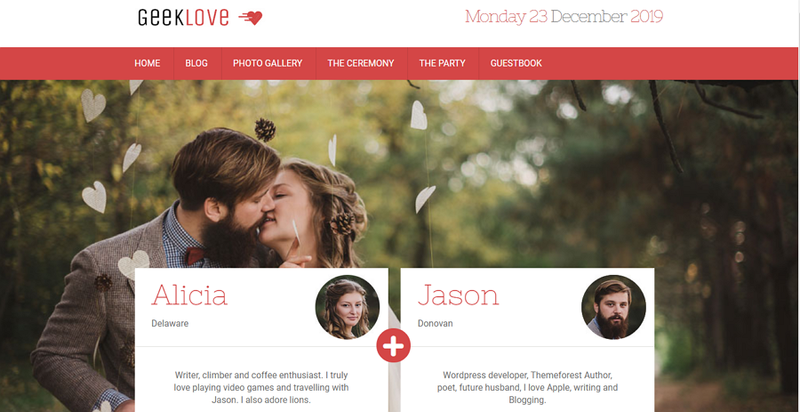 To customize a special way to tell the love story can make the entire wedding website outstanding. If you are designing an excellent wedding website as a UI/UX designer or developer, remember to select the right design tools to test and iterate your website designs. While creating a wireframe or prototype of your wedding website, Mockplus is the perfect design tool for you to bring your design ideas into life. While iterating and handing off your wedding website designs collaboratively online, Mockplus iDoc is a handy design tool for you to collaborate and handoff your designs with ease. An eye-catching image gallery, sweet video, nice audio or striking font makes a wedding website different and catches users’ attention easily. It is best for you to use such gorgeous design elements to improve your wedding website. Overall, we hope all these mentioned best wedding website templates, examples and design tips can help you create an amazing wedding website.